This is an exclusive The Little Soap Store fragrance that was create by me. With cozy and warm notes of coffee and chai tea, this soap will be loved by all. 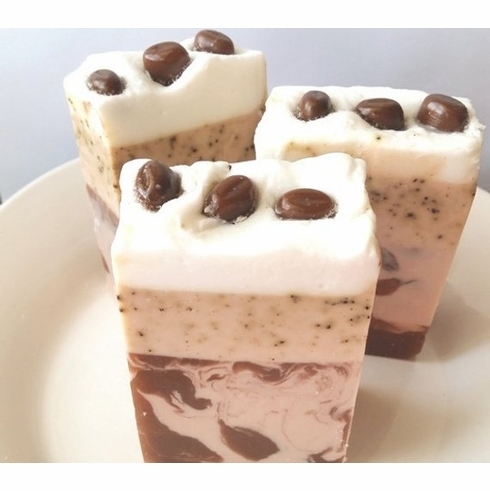 Comes beautifully packaged and each slice is topped with three cute coffee bean mini soaps. Made with awesome ingredients including coffee extract. Makes a great gift! Weighs approximately 5.5-6 ounces. Ingredients: 100% vegetable glycerin soap, cocoa butter, hazelnut oil, almond oil, coffee, coffee extract.